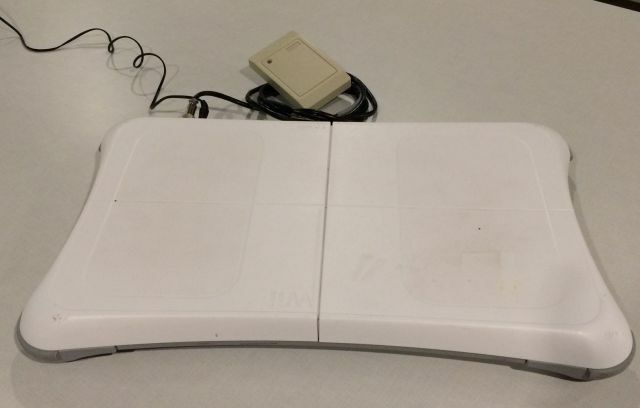 People have used Wii Balance Boards before as scales. The projects I saw were typically paired with a phone or a Raspberry Pi via bluetooth and the data was handled by those devices. 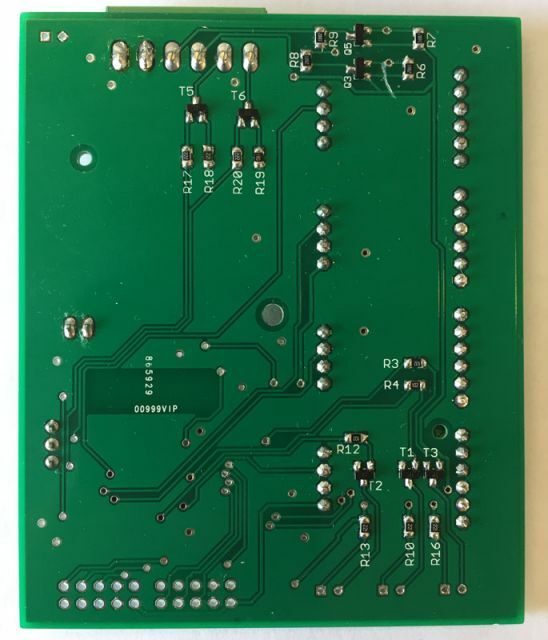 I didn't want to go that route but instead wanted to replace the original circuit board from Nintendo with one I designed myself that has an ESP32 on it which will provide WiFi and Bluetooth connectivity. I also wanted to have this used by multiple people so it needed to be aware of who was being weighed. 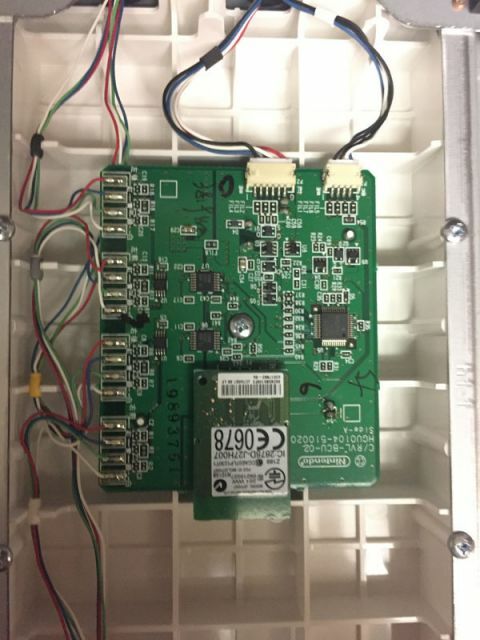 With that in mind I incorporated a connection to an RFID scanner into my circuit board so that people could scan an RFID card and the device would know who they are (the people already have access cards to the building they work in so it should be somewhat convenient for them. Another approach I want to investigate is having the device behave like some sort of BLE beacon and people could see their weight displayed on their phone. 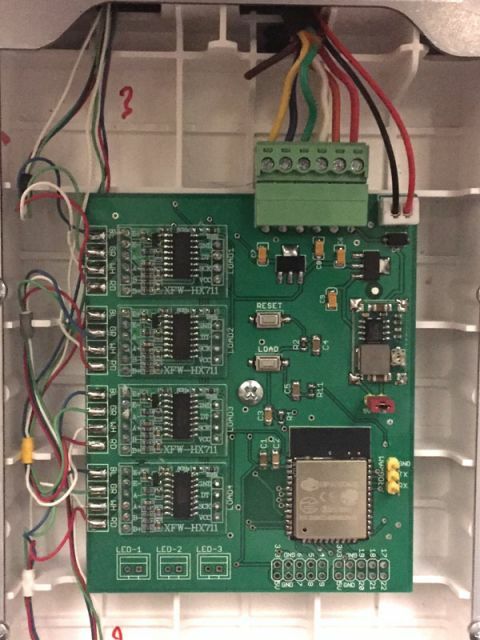 Rather than try to somehow reverse engineer some signals coming from various components on the Nintendo board and then ending up making another board to interface with that anyway I just decided to make my own circuit board with an ESP32 and some HX711 modules hooked to each of the load cells. I also added some breakouts for some LED's and also a few other pins from the ESP32. This is so I can perhaps do more in future in regards to user interface with the balance board. 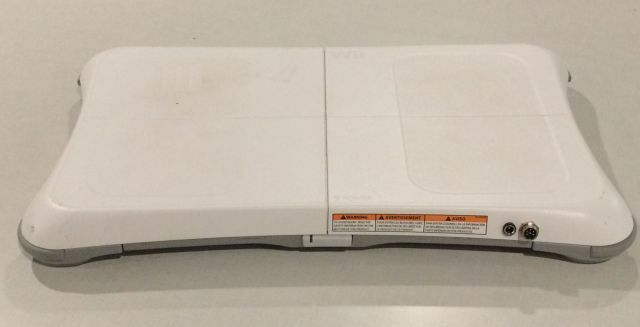 Here's a couple of pictures of the original Nintendo circuit board still in place. This had to be removed. 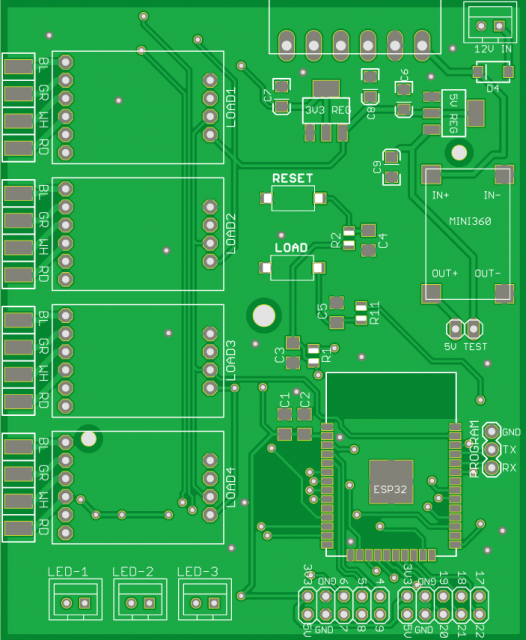 I decided to not make the new circuit board by hand because I wanted to keep the size close to the original board and would have some vias under some components thus makign things more difficult than they needed to be. 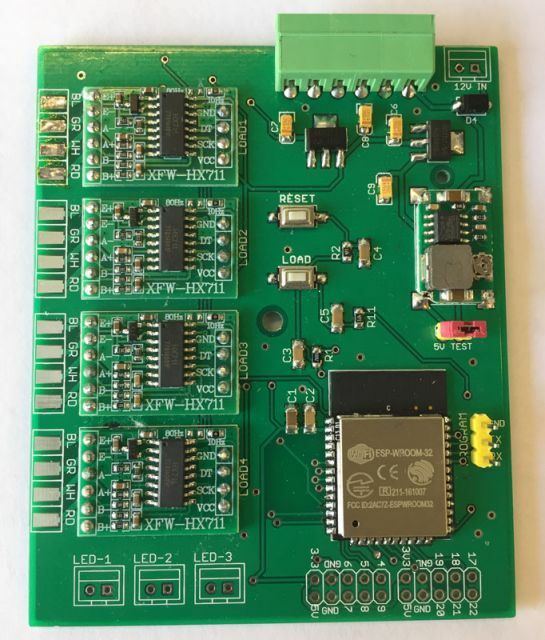 I was also already about to send another board of to be manufactured so sending this design was going only cost another $4. Obviously it made sense to jsut have them made. Here's what the boards look like with a gerber viewer. 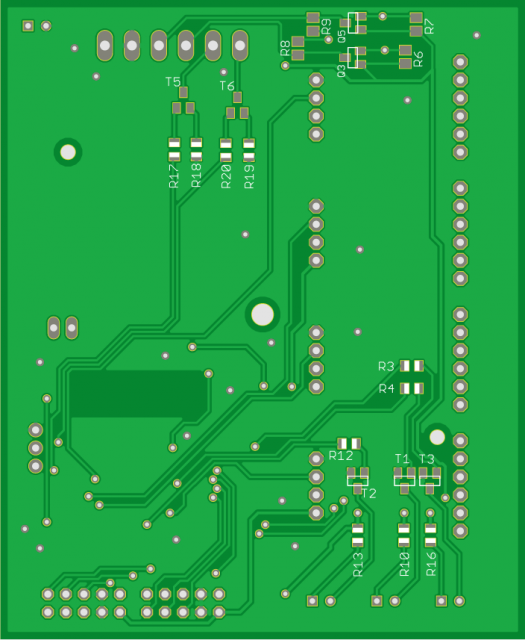 And here is the new circuit board inside the balance board ready to go! 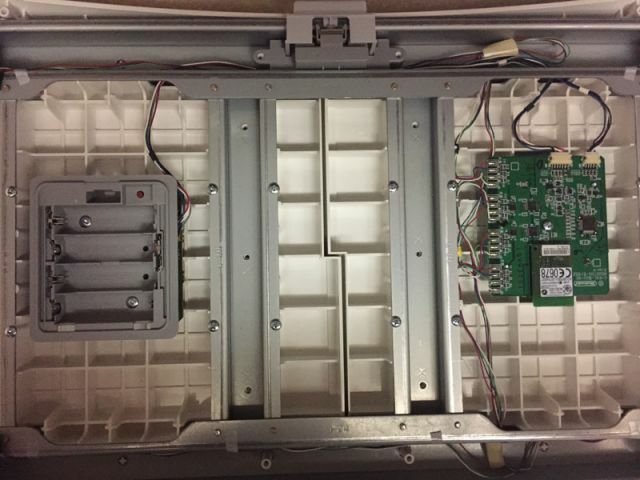 Finished showing the power plug and plug for RFID scanner. And with power and RFID scanner attached.